If your business requires a percentage of the cost has been paid before the service or product delivery, then this Advance Payment Invoicing Format might be your choice. 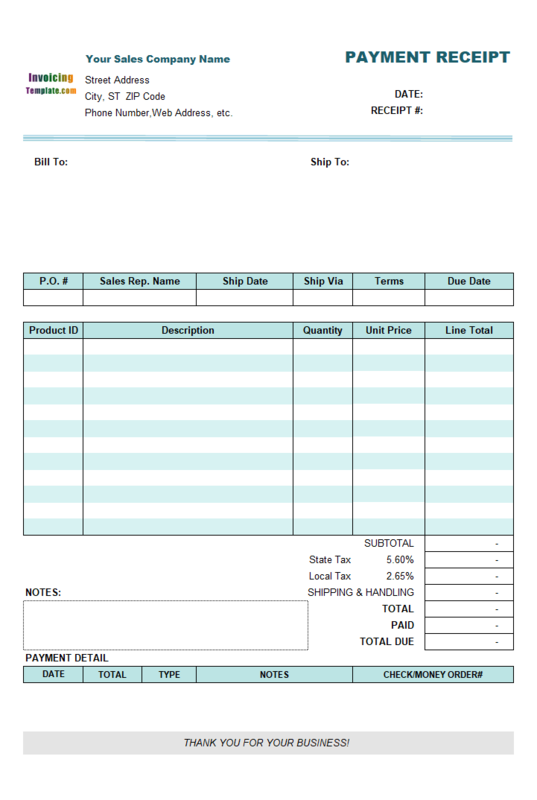 This form is printable on standard A4 paper. 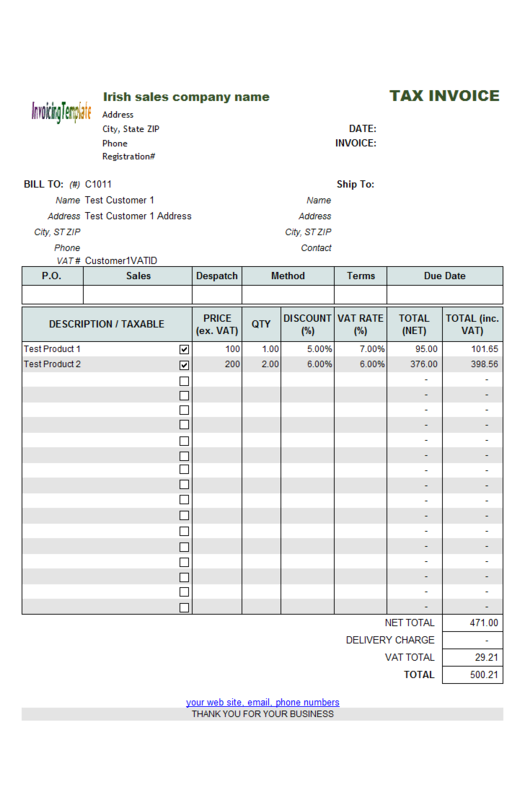 c6023 now includes the customized invoice template for the latest version of Invoice Manager for Excel. This is what you will see when you open advancepayment.xlsx. 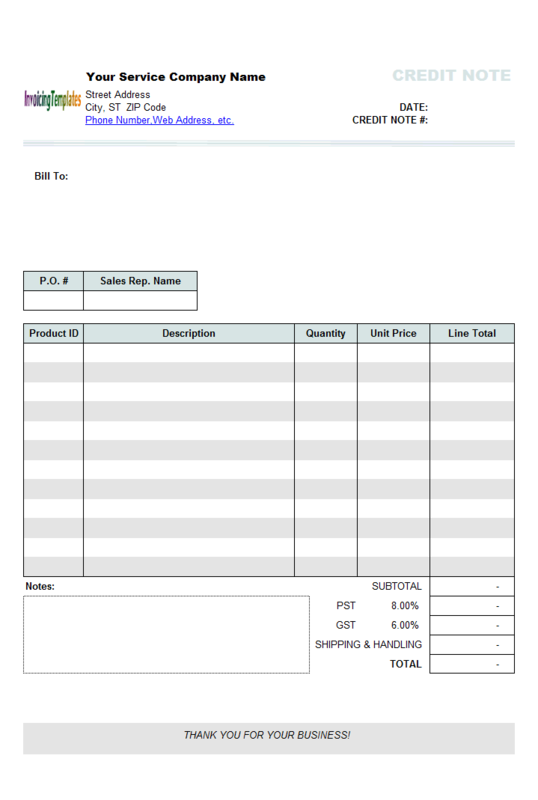 Advance Payment Billing Format is created based on c6010 Sales Invoice Template with Discount Amount Column. 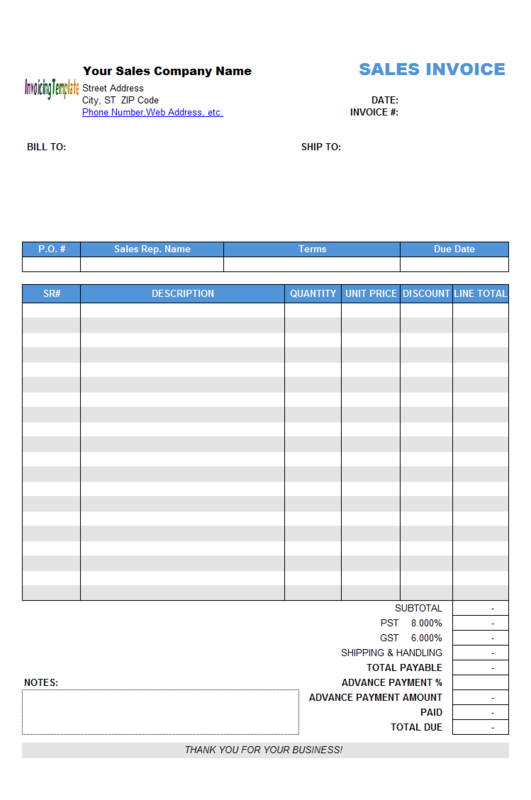 Another customized template that supports discount percentage is also available here on InvoicingTemplate.com, at C6011 Sales Invoice Template with Discount Percentage Column. 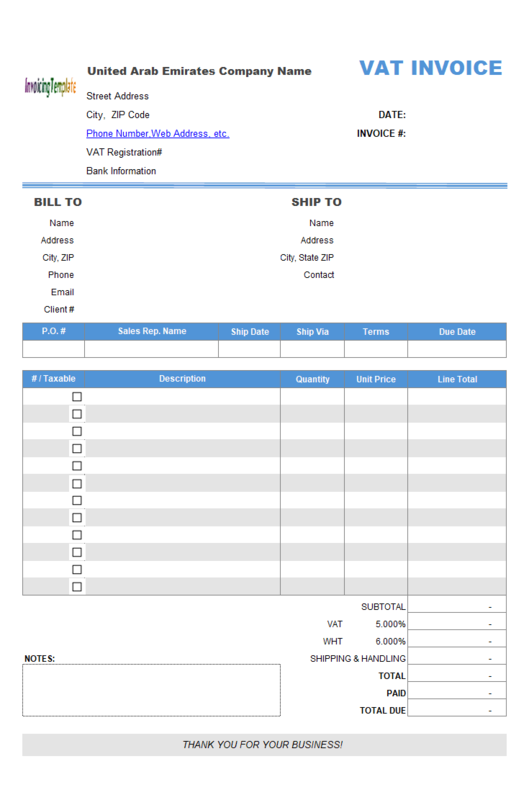 For a list of all sales invoice template online here, see the template category listing at Sales Invoicing Templates. 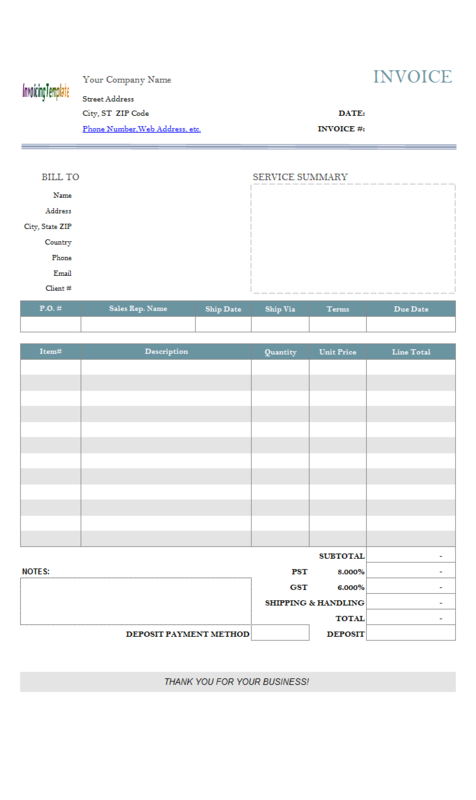 This template, Advance Payment Invoicing Format, differs from the original design in that it adds two new cells, "Advance Payment %" and "Advance Payment Amount" to the bottom of the invoice spreadsheet. The first cell "Advance Payment %" is a manually editable cell (that is, it is unlocked), where you enter the percentage of the advance payment. The second cell, "Advance Payment Amount" is calculated automatically based on the total payable and advance payment percentage. The advance payment amount is then deducted from the invoice balance due. Both "Advance Payment %" and "Advance Payment Amount" are implemented as custom fields. Advance Payment sometimes are also referred as security deposit. 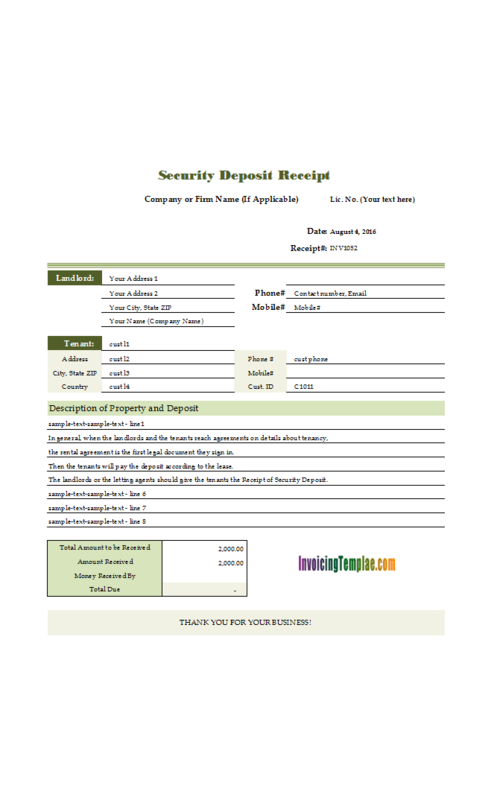 For a sample template with detailed steps on creating the definition of "Deposit" and "Deposit Payment Method" fields, visit c5078 Basic Service Invoice Sample with Deposit. Hence it can be stated that an invoice / receipt / bill is a small statement and agreement of goods and services that is provided by a business to another entity, such as car rental / house rental / freelance design work / website development job etc. Every organization has its own requirements, meaning you need to really customizable template to make your invoices differ from others. While Microsoft Word, or even Adobe Acrobat PDF, Photoshop, or OpenOffice.org and some other online accounting / billing tools could get the job done too, one of the big advantages of Microsoft Excel is that it is very easy to customize the form. 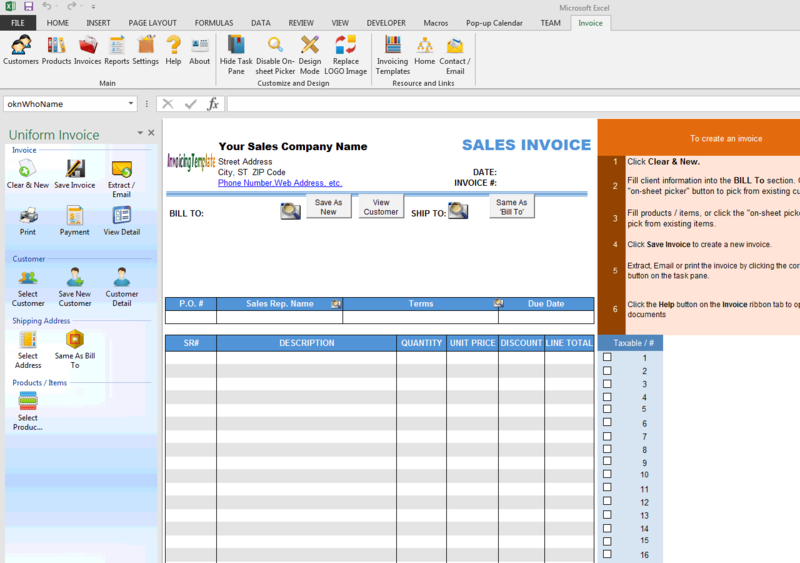 This, combined with the back end database, makes Invoice Manager for Excel (namely Uniform Invoice Software) the ideal invoice creator for small businesses. The design of Advance Payment Billing Format also takes advantages of Excel formulas. By using Excel formulas, we are able to create the relationship between Excel cells that are mapped to database fields in Invoice Manager for Excel (namely Uniform Invoice Software). 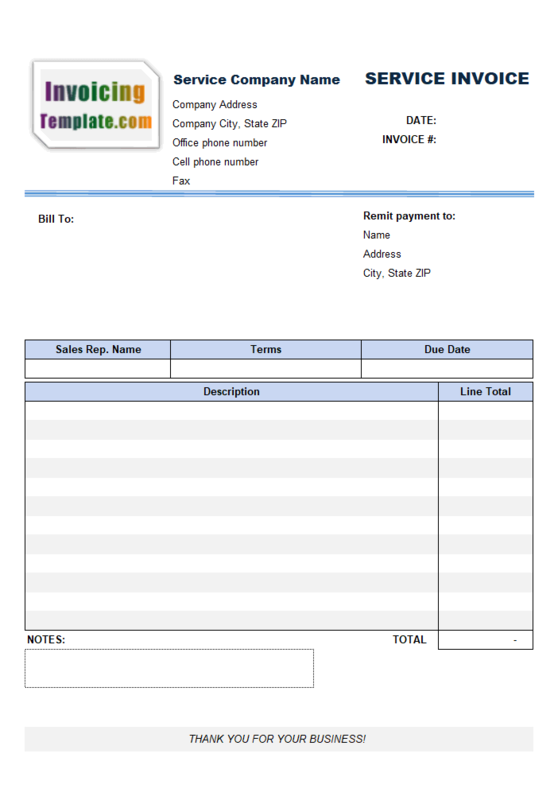 This gives Invoice Manager for Excel (namely Uniform Invoice Software) unusual flexibility that supports not only simple and regular invoicing and billing forms, but also complex layouts and formats that are required in many business practices. 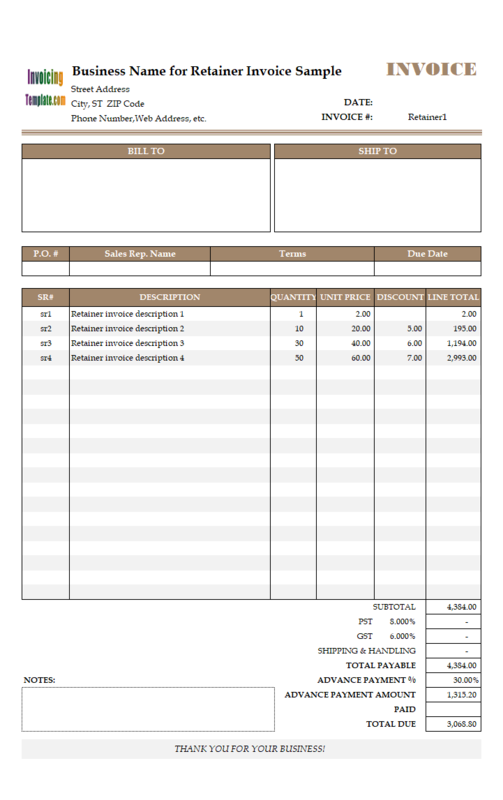 With the Excel-formatted spreadsheet forms, we are able to design invoices that are beautiful and professional. With the database connected via Invoice Manager for Excel (namely Uniform Invoice Software), your invoicing system will be able to manage customers, products, invoices and payments easily. 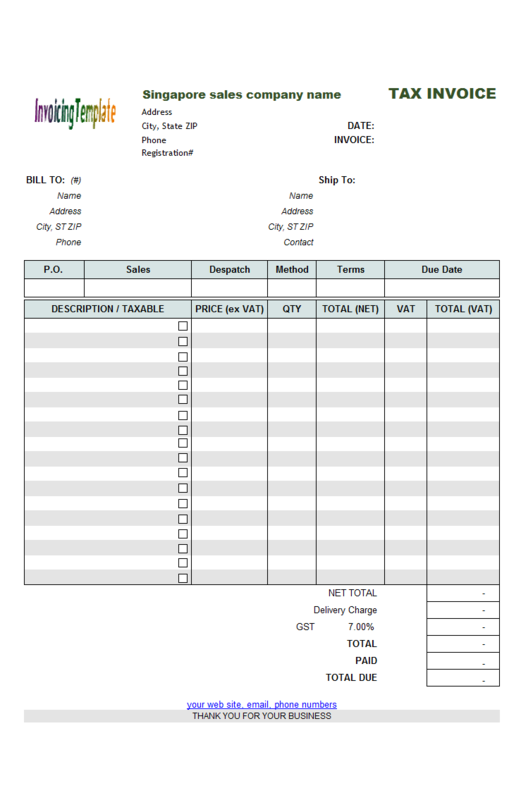 For example, the invoice template at Sample Sales Invoice Template: Fixed Items locks the first item on the detail section of the printable invoicing form. 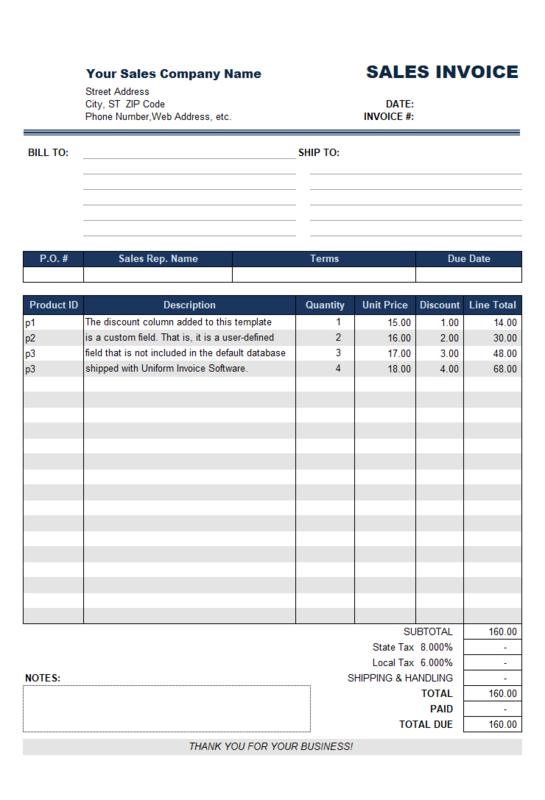 Which means that, the first line (the description) will not be changed from invoice to invoice. 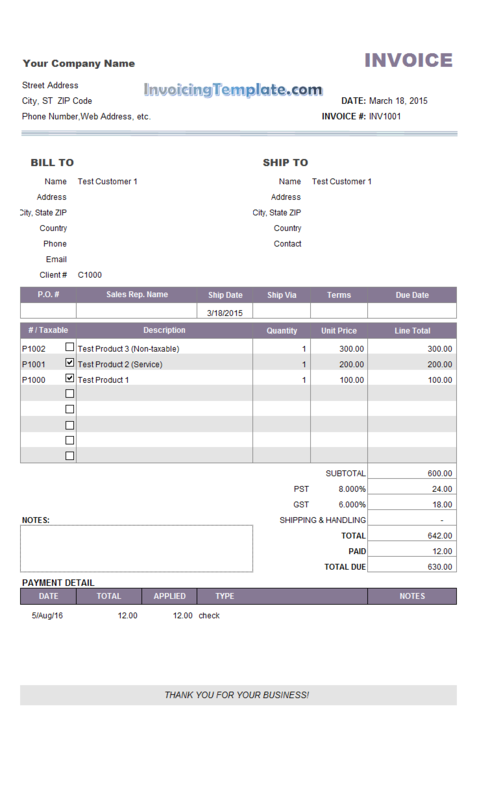 In fact, all template here on InvoicingTemplate.com are created based on the default sales invoice template shipped with Invoice Manager for Excel (namely Uniform Invoice Software). 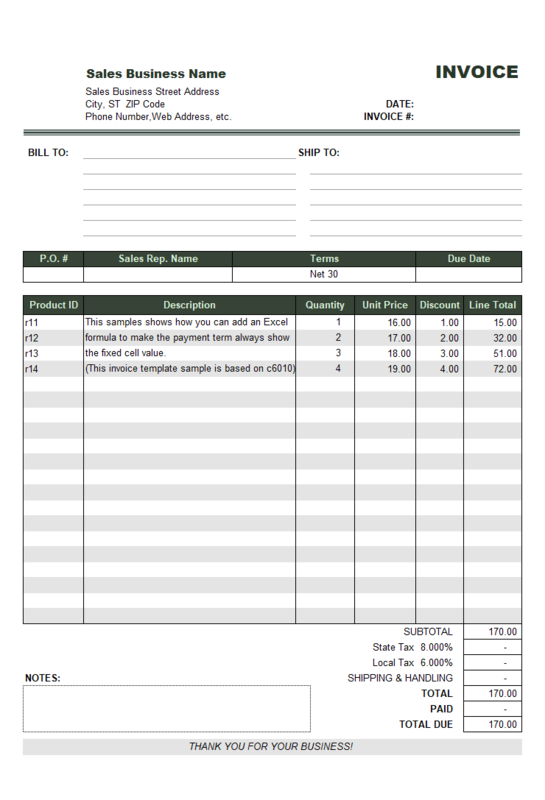 Please refer to the "Customizing Invoice Template" chapter of Invoice Manager for Excel (namely Uniform Invoice Software) help file for more information on how to customize our invoice templates. 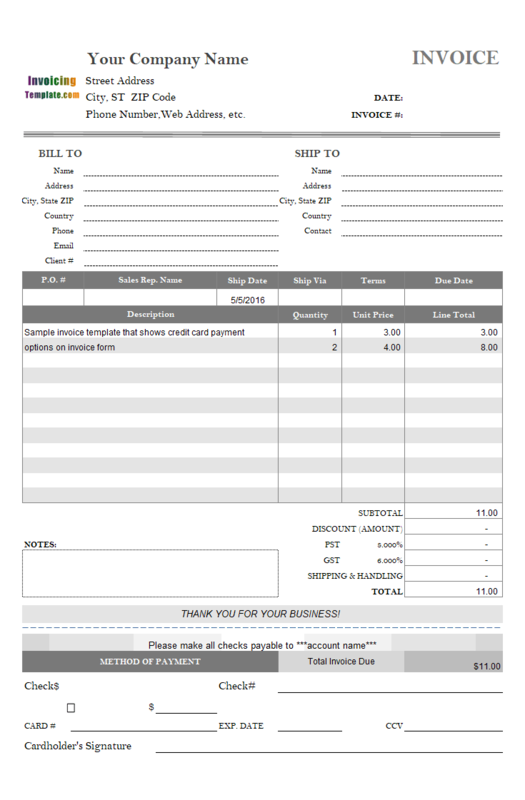 Like other form designs here on InvoicingTemplate.com, Advance Payment Billing Format is free (offered to you at a price of 0.00USD). It works on Windows XP and all newer versions of Windows, and Excel 2007, 2010, 2013 or 2016.